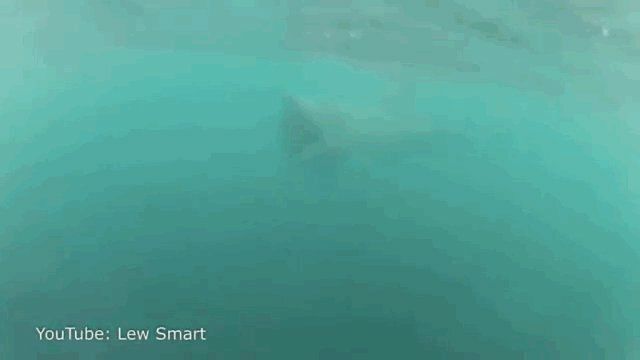 Not all shark encounters are scary -- especially if you've come face to face with a basking shark. As the second-largest living fish (behind the whale shark), the basking shark is pretty harmless -- it only feeds on plankton. This swimmer off the coast of England, was surely happy for that fact when one snuck up on him in the water.